A wood fence can be a charming addition to your home that will increase its value. Not only that, but it will help to keep out unwanted intruders and animals. 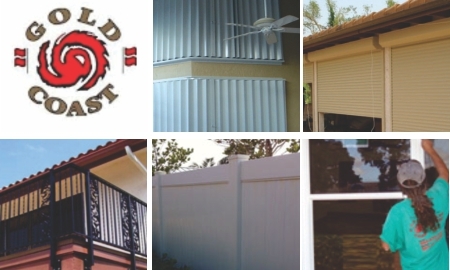 For the best in the business, call Gold Coast Hurricane Shutters and Fence. Full privacy, semi private, picket, split rail, post, rail--in any height and type of wood. Call us and get exactly what you want in a wood fence. Gold Coast Hurricane Shutter and Fence is among the best fencing companies in South Florida, especially in installing a wood fence. We are the preferred manufacturer wood fence, gates and railings. We pride ourselves on our professionalism and quality products. The quiet charm of a traditional wood fence, is undeniable; more so when you install a Gold Coast Wood Fence of quality! We look forward to providing your fencing needs, for many years to come; we stand behind everything we do. Fence Contractors and Fence Companies serving Broward, Palm Beach and Miami-Dade Counties, all prefer Gold Coast fencing products, and you would too! Contact us for a full FREE Consultation, FREE Advice and FREE Estimates. We are ready to serve you, and show you, your best options. Prices are excellent; with us you are assured good value for your money. Enhance the features of your property, increase market value; order your fence. We want you to be always confident in your dealings with us. Our honest, trustworthy staff will be happy to give you their undivided attention and outline all options to you. We offer fences in various different types of wood to match your specific needs, measurements, decor, style railings, and handrails, Gold Coast is the major supplier of wood fence to residential and commercial areas. We are a proud customer service oriented company and assure our clients' complete satisfaction. Custom work is always available, and we are ready to tailor every product to your specifications. Call us today for a FREE consultation of your wood fence needs.